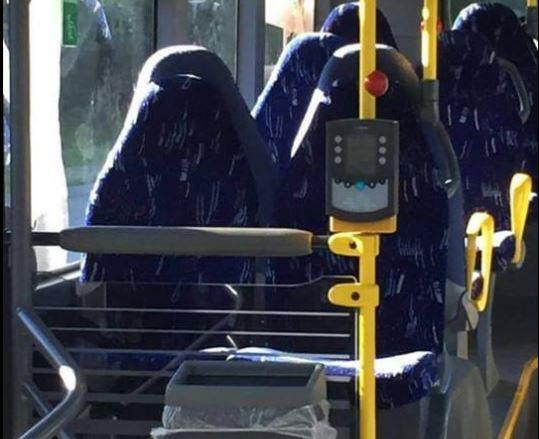 A Norwegian anti-immigrant group has been severely mocked after one of its members posted a photo on their Facebook page of six empty bus seats, which was mistaken for women wearing Burqas. Members of the groups commented irrelevantly on the photo, some of the comments included “tragic”, “disgusting” and “terrifying”, Nettavisen said. The photo that was shared to the private Facebook group Fedrelandet viktigst, which translates as Fatherland first, sparked controversy among the members. While the photo was captioned “What do you think of this?”, members of the group started speculating about what might be hidden under these burqas from bombs, weapons, and terrorists. Since the influx of refugees increased to Europe, the veil has become a debatable topic that is firmly related to the refugees’ integration in the European societies. In 2011, France imposed a nation-wide ban on Burqa, with Belgium and Bulgaria following its footsteps. Other European countries implemented similar decisions later, some of them were partial. Norway is the latest country to propose restrictions on Burqas in Kindergarten, schools, and universities. Meanwhile, a new study revealed that German media choose to shed light on the migrant criminality instead of the violence they are subject to. There has been a significant increase, by about a third, on foreigners living in Germany, according to a study. The study is based on analysis from 283 articles from four different leading German newspapers and 81 TV news reports, Journalism professor and head of the study Thomass Hestermann told Deutsche Welle.